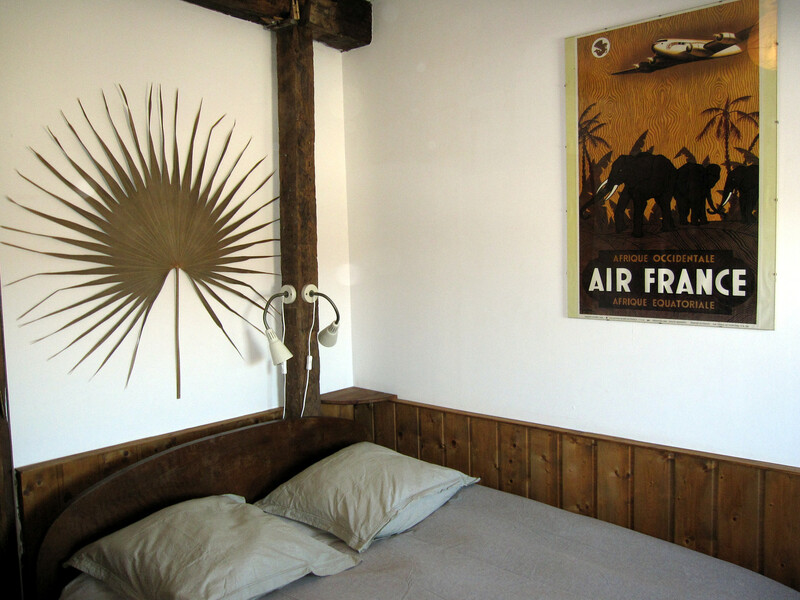 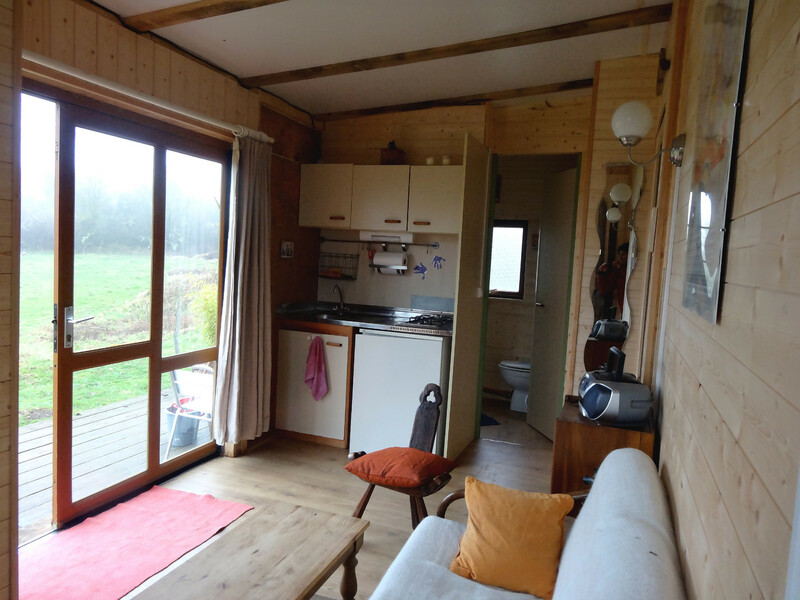 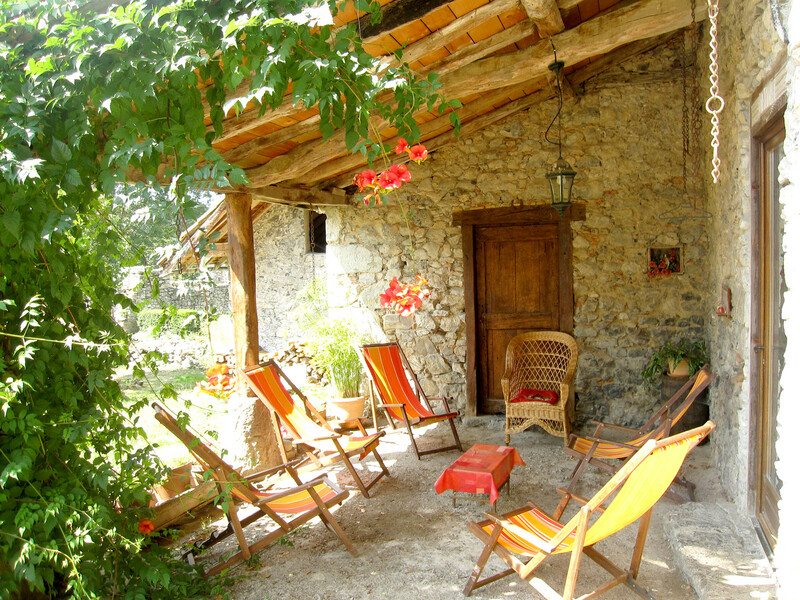 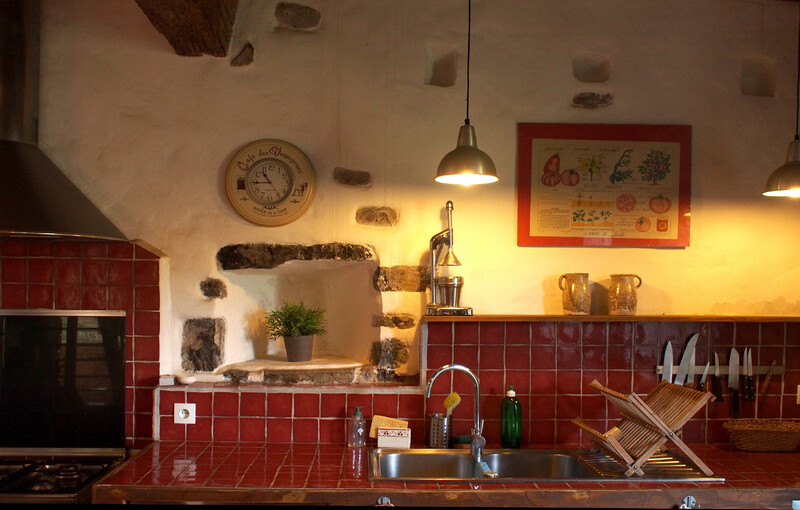 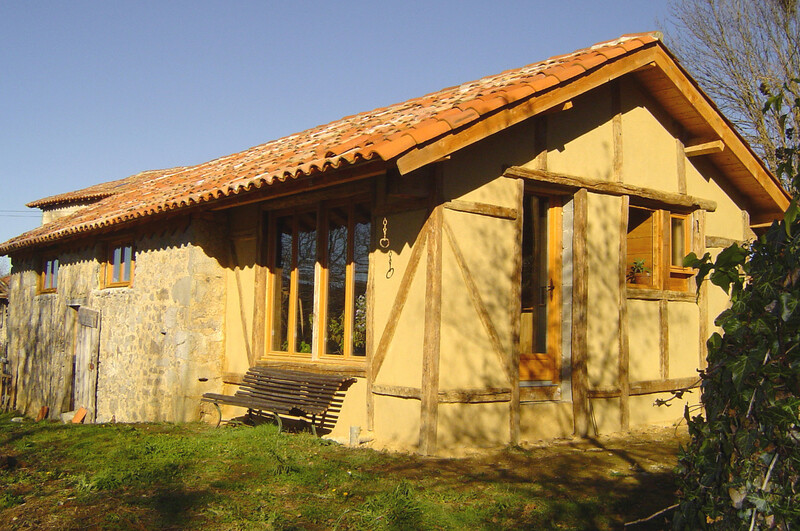 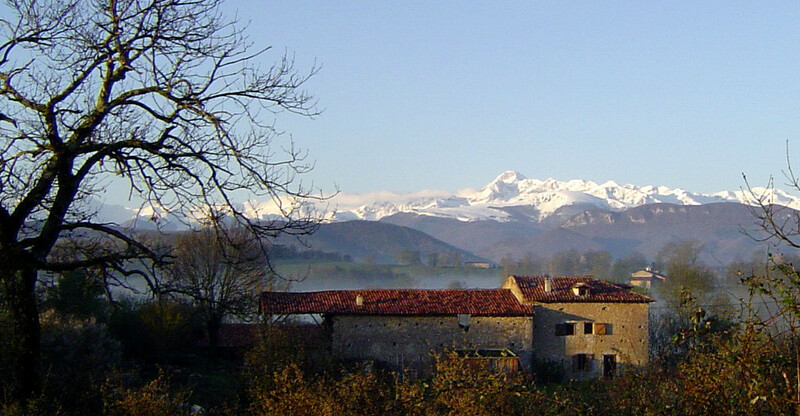 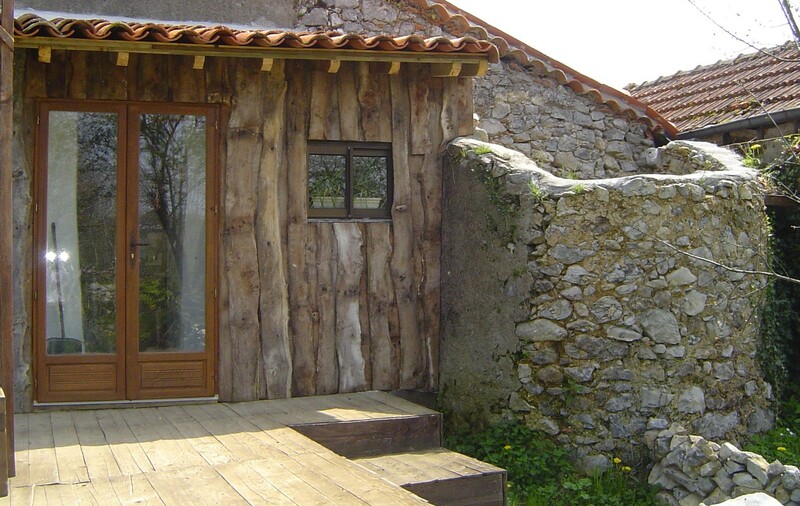 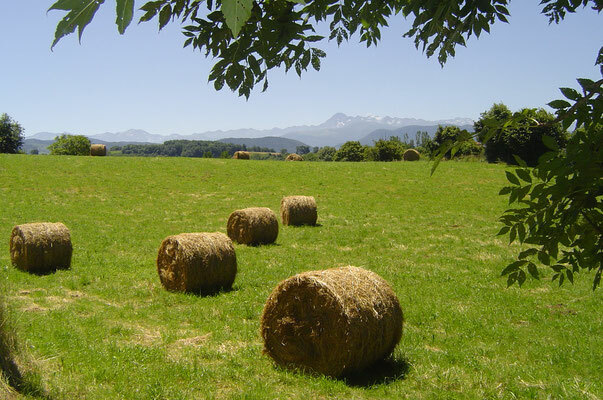 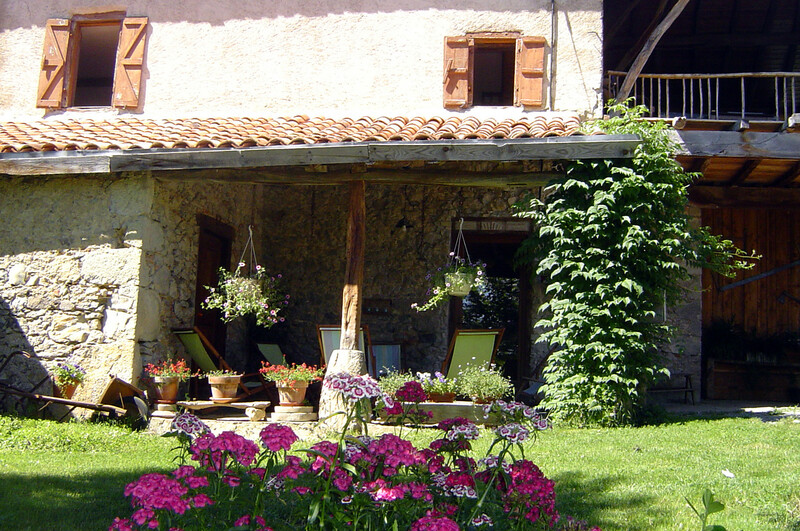 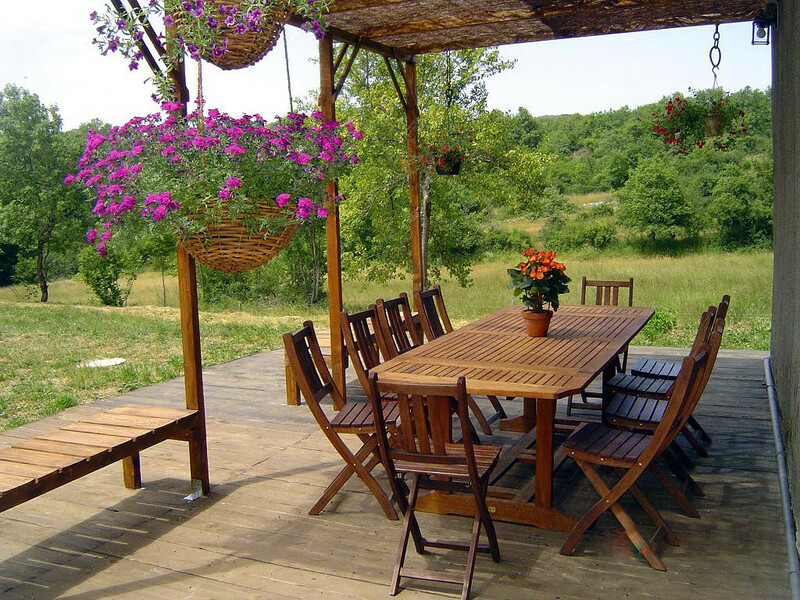 Self-catering holiday cottage, 100 km from Toulouse, with panoramic views of the Pyrénées. 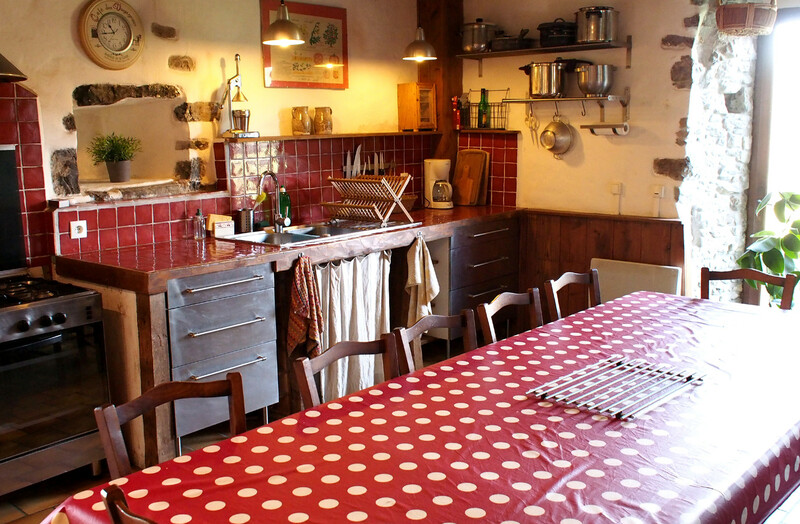 Large charming cottage 3 * for groups up to 15 people and a 70 m2 (750 sq feet) activity room, optional. 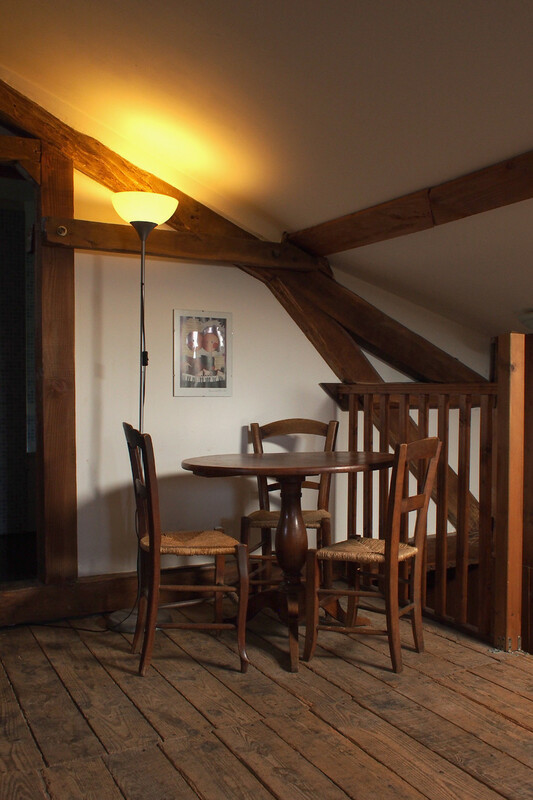 The earliest traces of habitation date back in 1641, when the parish was first registered. 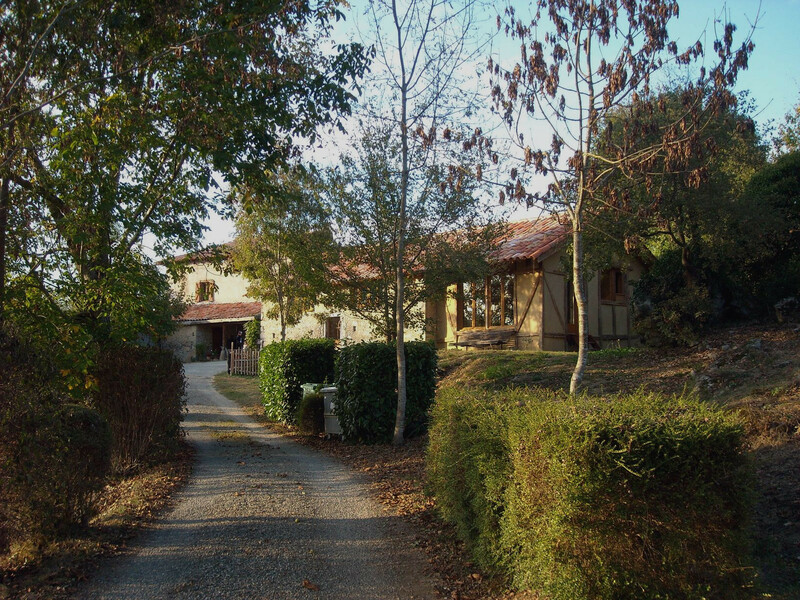 Florence and Gregory have acquired this beautiful place in 2004. 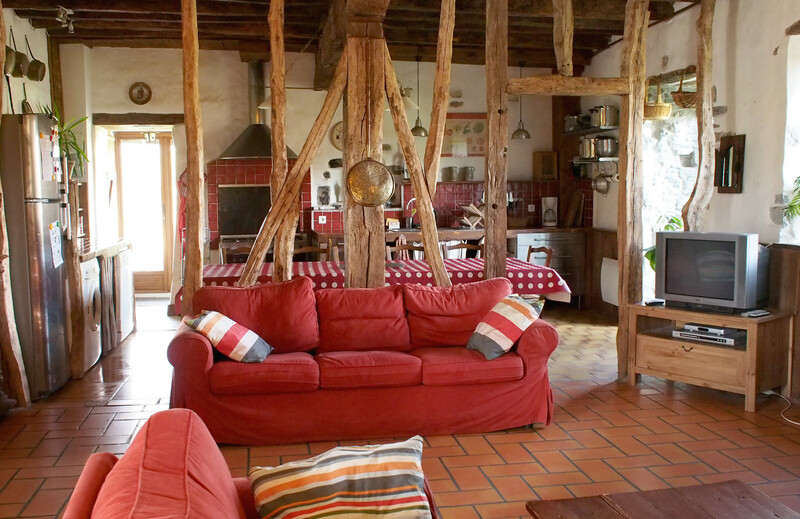 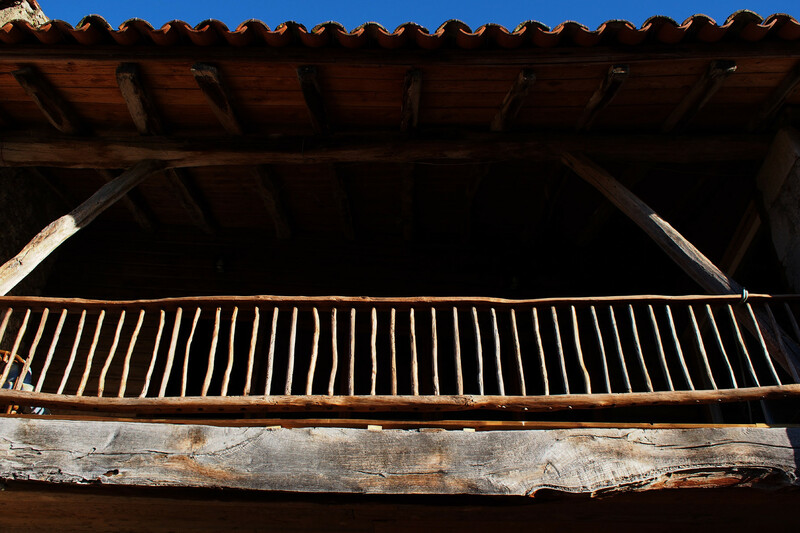 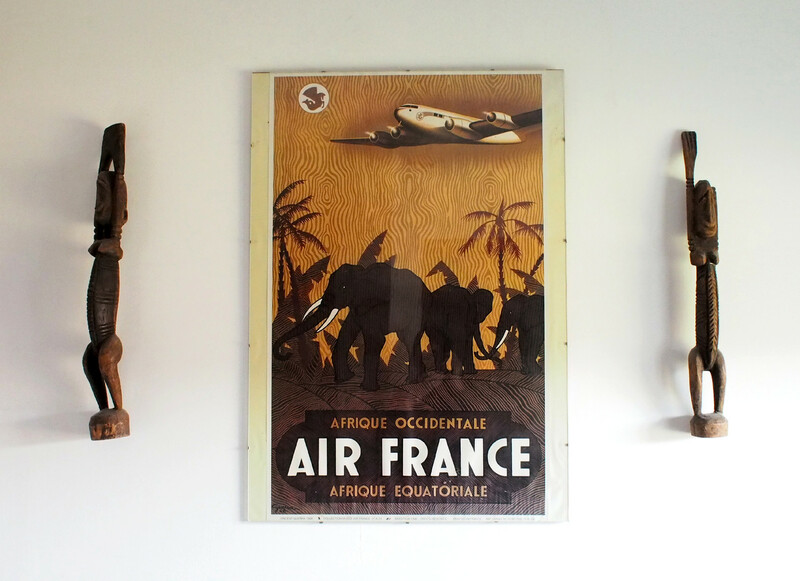 They restored the building with tradition in mind, combining rustic charm with modern comfort. 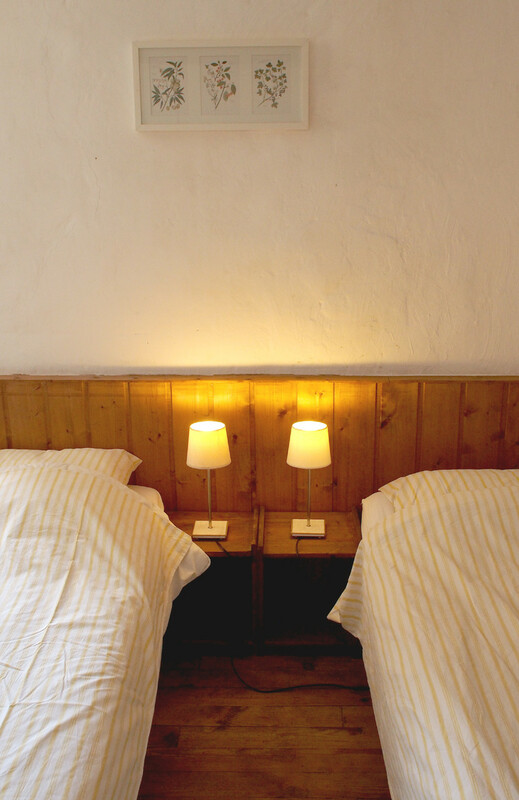 The beds are very comfortable, the kitchen is well equipped, the whole house tastefully decorated and guests can expect a warm welcome. 100 km south of Toulouse. 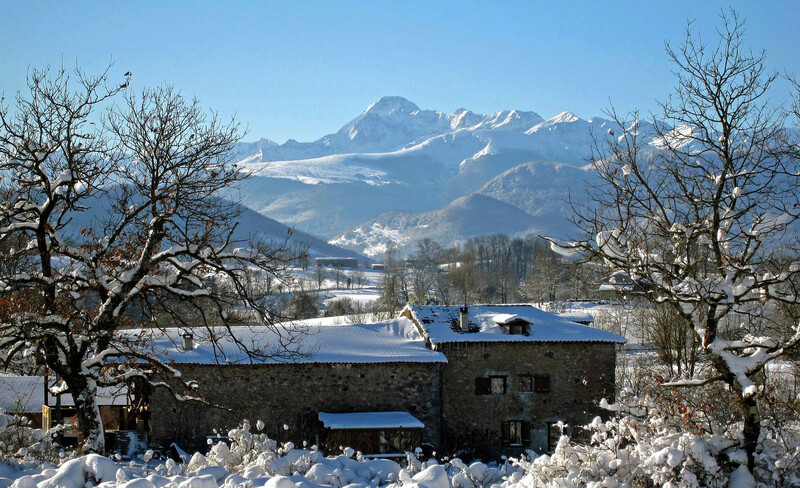 40 km from the ski resort Guzet. 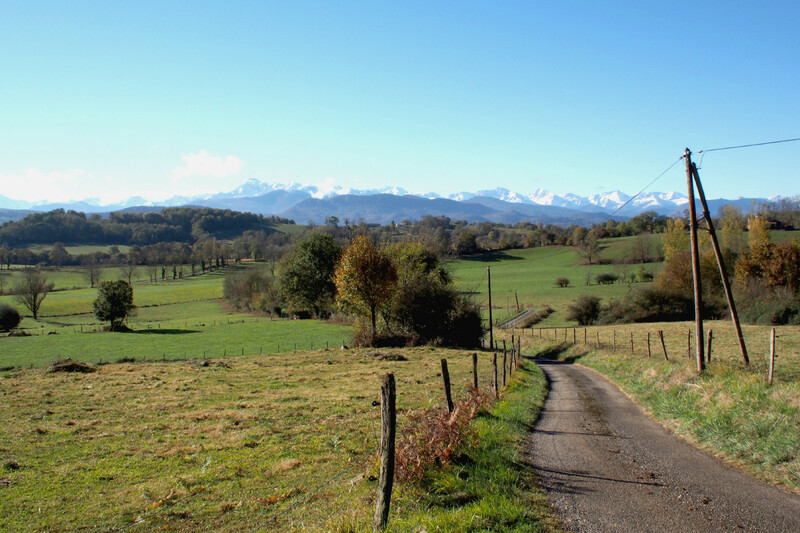 Nestled between the hills and the high mountains, the hamlet of Enlène is isolated from any neighbours, except us ! 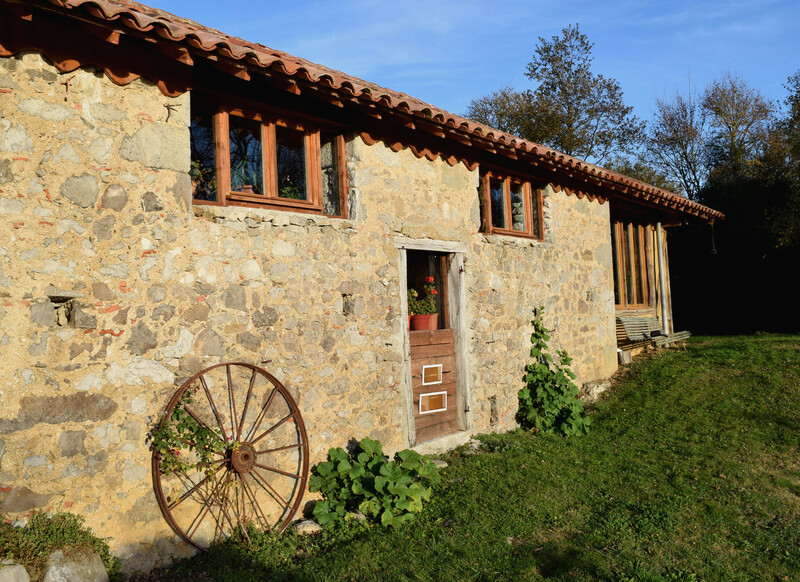 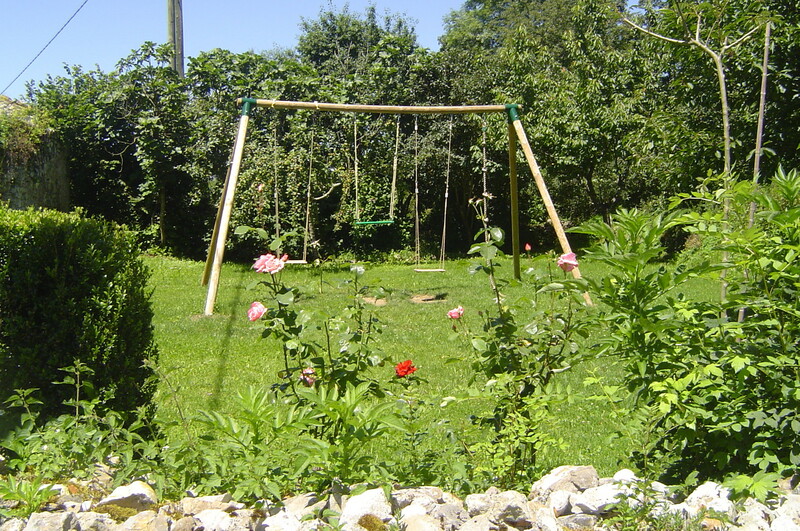 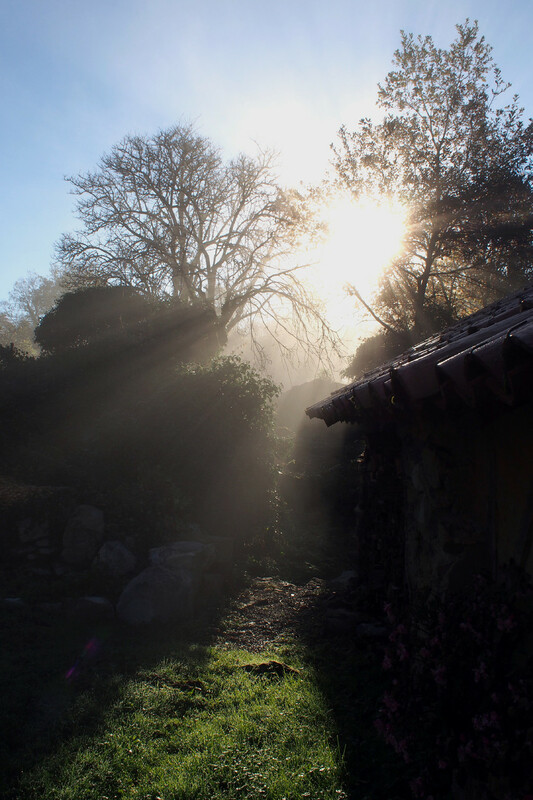 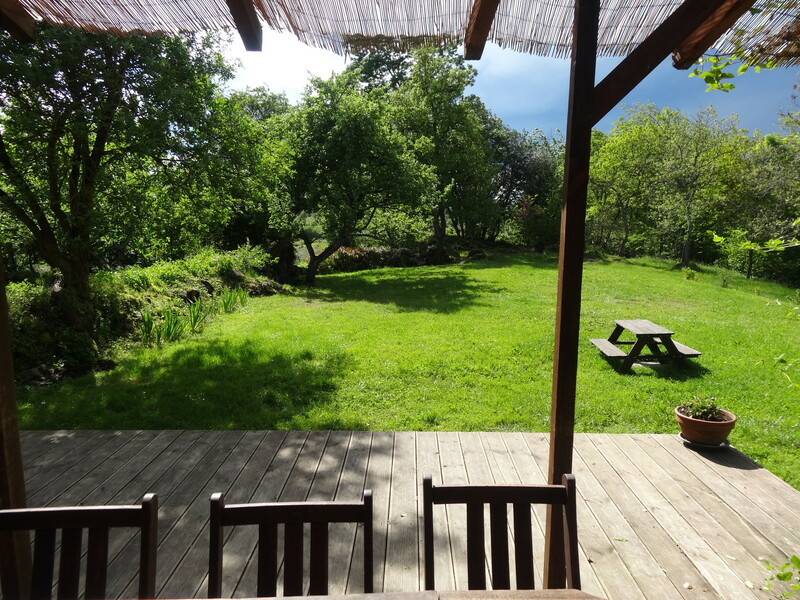 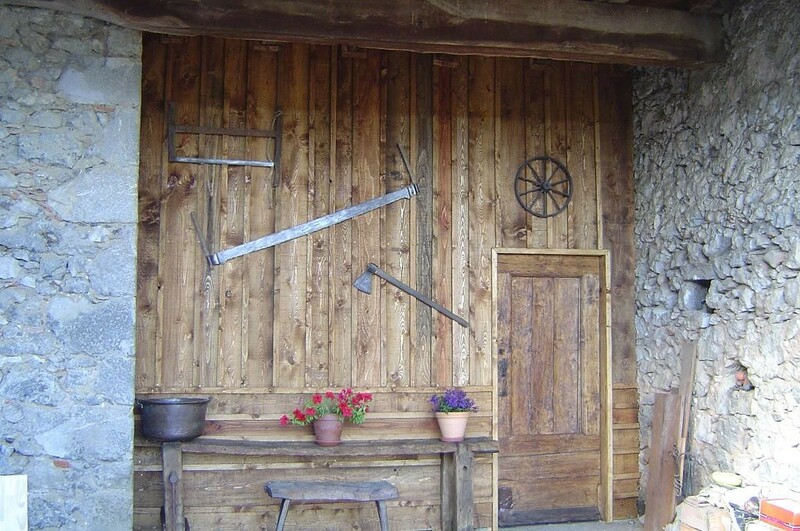 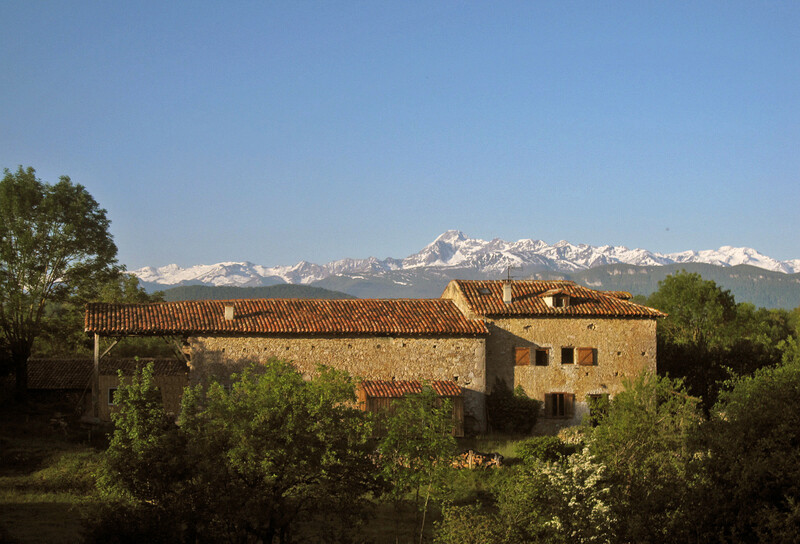 The property of 6500 m2 has trees and flowers and a breathtaking view of the Pyrénées.